Below, twelve members of the 2017 Newport Cup squad will write thorough, in-depth reviews of alignment stick covers by Delilah, as well as two MVP driver headcovers by @jsgolfer and @DeadMan, complete with photos, an occasional video, and a wealth of opinion and information. They're encouraged to be as honest as possible. We'd like to thank the sponsors for the gear, apparel, equipment, and goodies, and we chose them largely because they produce quality products, but they know we value honesty and integrity in reviews as well. We were lucky enough to get alignment stick covers from Headcovers by Delilah. And because I was the West team MVP, I also won a driver headcover from Headcovers by Delilah. I’m going to spend a couple of paragraphs raving about them, but let me say that both of these things are really cool and also really unique. You have probably heard of bespoke clothes. Well, these are bespoke head covers. The alignment stick cover is something I’ve never seen before, but I really like it. It makes my golf equipment pop a little more, and it covers my alignment sticks nicely. 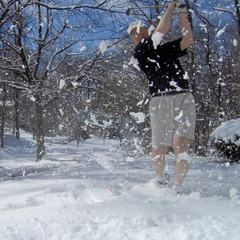 (Although now that my alignment sticks are Sand Trap sticks, that might not be a positive. My old alignment sticks were pink.) You can tell that the cover is really well made. I like that the Newport Cup logo is on these as well. It is nice bit of memorabilia to have. I like to think that I have now arrived, with my custom alignment sticks cover! The alignment stick cover itself is nice. It sort of has a notch, as you can see, which helps separate the two sticks. I think it will prolong the life of my alignment sticks. I have noticed with my alignment sticks that they get quite damaged by banging around in my bag. This will prevent that, which is nice with the new Sand Trap alignment sticks we got. Also, this is a handy reminder to pick up your alignment sticks after using them. I’ve forgotten my sticks at the range multiple times, but it won’t happen anymore, because I’m not going to forget about the cover. All in all, a handy thing to have. But that’s not all. Because I was the West Team MVP, I won a headcover from Headcovers by Delilah as well. I noticed that this style of headcover became more popular in the past couple of years, and I never really understood why. But now that I have one, I completely understand it. My old headcover was really snug, and it was sometimes difficult to get off my driver. 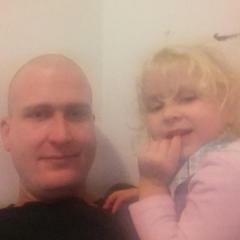 This one comes right off with minimal effort. If you’re worried about it randomly falling your driver, don’t. There’s enough elastic in the headcover to ensure that it fits snugly enough that you won’t leave a stray, bespoke headcover out on the golf course. The fact that it’s easy to get off saves me time out on the course, and it’s actually something I’m really pleased with. No more leaving my headcover in the back of the cart for the whole round because it's a pain to get on and off. Yes, I realize that is strange, but my old driver headcover annoyed me sometimes. The material the headcover is made out of is not leather. It’s a synthetic leather substitute. However, I honestly did not realize that before I looked it up on the website. I’m not an expert on leather. But, it feels just like leather. Smooth. Classy. The website calls it “faux leather,” but unless you really know your leather or inspect it up close, you won’t know the difference. It definitely makes other golfers jealous, and that’s what’s really important. The look of the headcover is obviously great. I love seeing MVP whenever I pull driver. 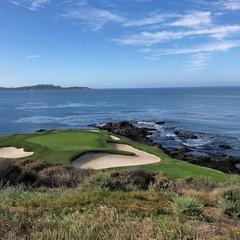 It reminds me that I can play some pretty good golf sometimes. It’s also a conversation piece with other players. I like being able to brag about being the MVP, and if you hear my version of the story, the West Team won. Plus, I like the Newport Cup logo, and I’m sure the TST staff likes the advertising the headcover brings. I can tell that the headcover is extremely well-made. The outside is durable. It feels like it could take almost anything I throw at it and not have a scratch. The inside is perfect for keeping my driver comfortable. It’s hard to tell from the photo, but the inside feels fuzzy and warm. The website says that it’s “faux fur.” Honestly, I sort of want to wear the headcover as a sock because of how nice the inside feels. But seriously, it’s clearly well-made and something that will last a long time. Good thing, because I’ll be telling Newport Cup stories for a long time! After getting both of these items, I will probably be ordering something else from Headcovers by Delilah in the new future. I’m thinking that I need a new putter in the near future, and I think a putter cover by Headcovers by Delilah would be a nice addition to that potential putter. In sum, these were some of my favorite items that I got at the Newport Cup. The headcover has a permanent place in my bag, and the alignment stick cover will be there a long time as well. I honestly look forward to getting on the course a little more than I used to because of these cool, unique items. Wow. 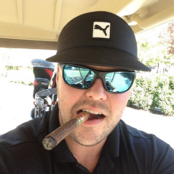 I don’t think a better review has ever been written about headcovers like @DeadMan just did. I also would like to give the yardage stick Headcovers by Delilah a 5/5 rating. They’re very sleek and really stand out when you look at the bag. Having longer yardage sticks in the past I forgot to put my head over on my driver (dumb) and it was scratched during a round. I will never have to worry about that happening again because the yardage stick headcovers are pretty thick and nice soft leather. The embroidery is first class and gives you that really cool “tour sauce” look on the driving range. If you have yardage sticks in your bag I would highly recommend Headcovers by Delilah not only for the aesthetic look but keeping your clubs and yardage sticks in great shape! I would give the alignment stick covers a 4.5/5, and there's only one small reason it's not a perfect 5 out of 5 that I will cover later. As both @DeadMan and @kpaulhus mentioned in their posts, the quality of the alignment stick covers is excellent. The leather itself is soft and supple, and the material on the inside is soft and thick enough to provide a bit of impact resistance should your uncovered clubs bang against the top points of your sticks. The Newport Cup on the cover itself is well embroidered, and there's not a thread out of place in terms of either the embroidery or the stitching that makes up the cover. I, too, have scratched my driver on uncovered alignment sticks and these covers are definitely more than sufficient to prevent that from happening while simultaneously looking excellent. The singular fault that I can find about the alignment stick cover is that it doesn't have two distinct slots throughout the cover, one for each alignment stick. Upon first glance I thought that was the case, that the two alignment sticks were divided into their own compartments, but closer inspection revealed that this wasn't quite the case. I'm not sure how difficult this would be to implement in , but having an individual slot for each alignment stick would prevent the alignment sticks from twisting and occasionally starting to work the cover off. When you remove and insert clubs into your golf bag, the grip of the club will occasionally work itself between the two alignment sticks that are also carried in the bag. Without the cover it doesn't matter if they separate, it just doesn't look quite as nice, but with the cover I noticed something interesting. 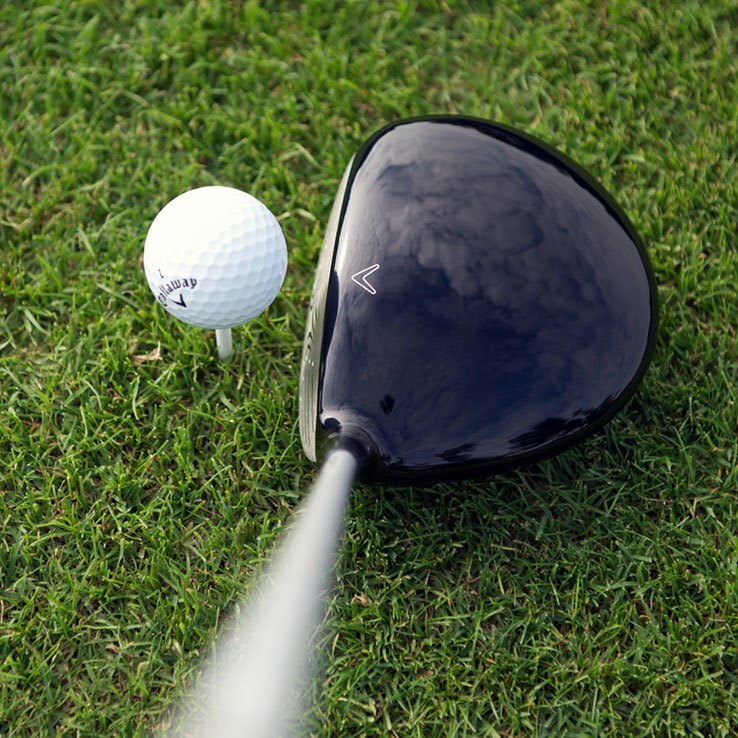 If a grip from a club gets between the base of the sticks, the two sticks will angle out and in the process start to slide the alignment stick cover up and off the alignment sticks themselves. To give you an idea of what I'm talking about, this is my most artistic Microsoft Paint drawing of what I've noticed happening twice since the Newport Cup while carrying my bag with the alignment stick cover on my alignment sticks. The angles in the MS Paint drawing are exaggerated compared to reality, but this is just to try and show what I mean by the sticks separating at the base and starting to slide the covers up and off. I believe that if the alignment stick cover had two closed slots along the entire length of the stick that it would prevent this from happening. 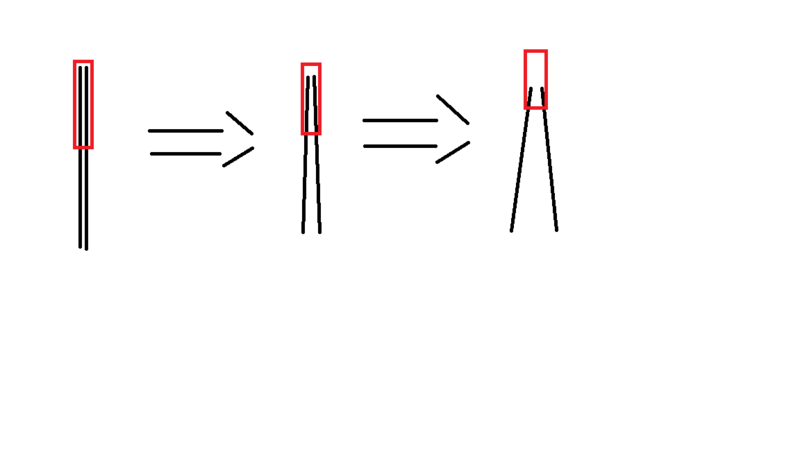 I think this could solve the problem by both providing additional friction on the sticks and by helping hold the sticks parallel, rather than allowing the base to separate, since the cover would have a slightly firmer grip on each stick. When looking at the opening of the stick, here is my MS Paint comparison of how it currently looks versus my proposed change. My guess, however, is that this would make the covers much more challenging to stitch without any stitches visible from the exterior of the cover. In fact, I can't think of a feasible way off the top of my head to make it happen, which is why I think it deserves no more than a half point deduction from the overall score. Make no mistake, the alignment stick cover is excellent. The primary reason that I wish this change could become a reality is because it would be a shame for the cover to fall off if someone didn't notice it creeping up along the sticks over time and it were to fall. It would take a pretty unobservant golfer for this to happen, so it's not something I'm personally worried about, just something I could see as a potential improvement for the sticks. I don't know if it's the sticks spreading apart. The cover is quite long, as @DeadMan showed. I think it's more that sometimes the grip pulls the cover off slightly when you pull it out of the bag. The two channels would not be feasible, and no alignment stick covers I've seen (I have them from four different makers now) have two channels. I'll give the Delilah alignment sticks headcover a 5/5. My golf bag has 15 slots for clubs, so I've never had a problem with alignment sticks bumping into my driver or other clubs and they never get in the way of putting my clubs in the bag. I've had this orange towel for a while and it has a hole in the middle of it to fit over the clubs, or in my case the alignment sticks. I haven't had the towel fly off before, but I'm certain now that it won't because the headcover adds some more friction. The only downside is that I sometimes have my 15th club (cough cough) go in that slot when I'm on my own, and now it wouldn't be as easy a fit. 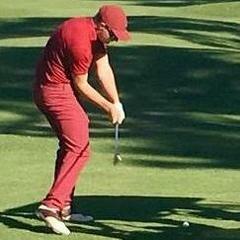 Prior to coming to the Newport Cup I had not seen or heard about a head cover for alignment sticks. Simply the thought never crossed my mind. But once I saw them my immediate thought was "wow, that is exactly what I need". Alignment sticks are now very common in most serious golfers bags. You can use them when warming up to work on target work, or stick them in the ground to help you avoid something in your swing. But these alignment sticks can often be really ugly colors or not match the colors in the rest of your bag. Especially if you buy the cheapy driveway markers from Home Depot. Now with the the Delilah alignment head covers you can find a color that matches your bag and makes those ugly alignment sticks look beautiful. The material of the alignment covers is sturdy and well built. The outside looks like leather although I am pretty sure it is not but it still feels very high end. The inside is a soft felt that might be found as a liner of a warm winter jacket. Not that your alignment sticks need to be warm but if they did the covers would work wonderfully. 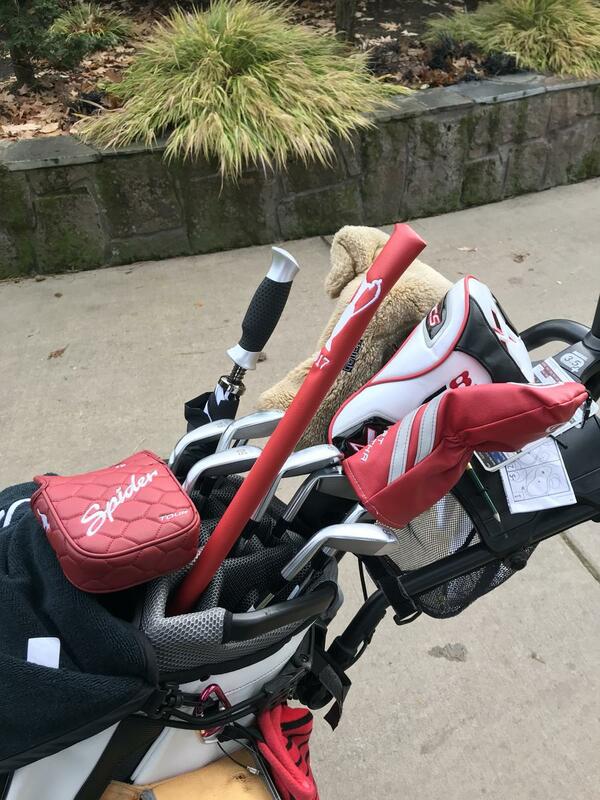 Mine was red for our west coast team colors and it matches my bag wonderfully, specifically my red head cover for my TaylorMade Spyder putter. The head cover also has a image of the Newport Cup in white along with the year of the Newport Cup I participated in. 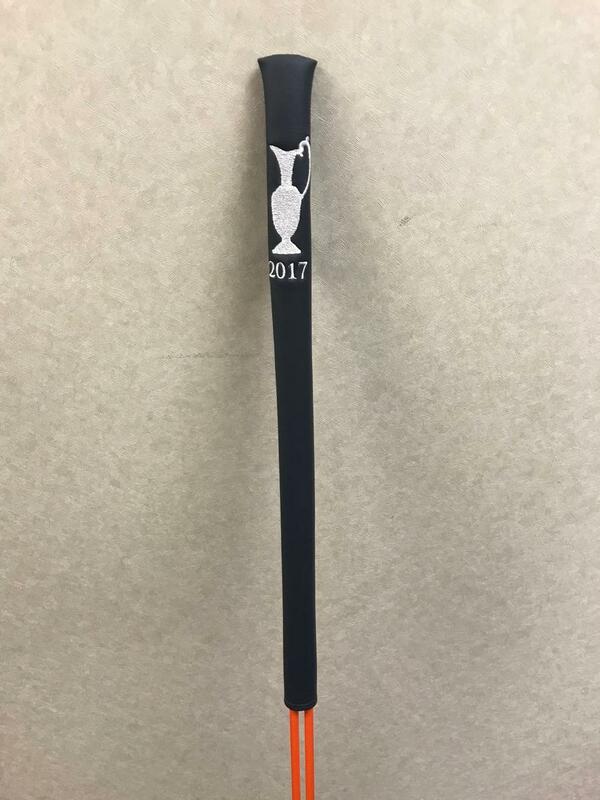 This is an outstanding giveaway to memorialize a tournament like the Newport Cup or any other tournament you might be playing in. This for me is the biggest benefit that these alignment covers offer. If I was running a tournament and wanted to provide a giveaway for the event this would be one of the first items I would consider. It is a great memento of the event. I can say that before receiving this alignment cover I would have never thought about this kind of solution. 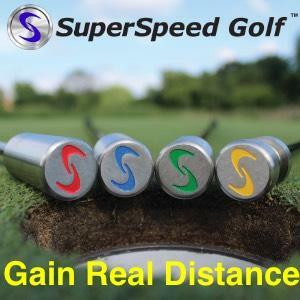 I think it is a great giveaway for playing in any kind of tournament or even to make sure your bag looks good even you have those pesky alignment sticks. As I was the MVP of the winning East Team (by a nose over @DaveP043), I received a driver headcover by Delilah. This headcover is the bomb and has been on my Epic Driver ever since I received it. It fits snug on the club but doesn’t take much effort to take it off. I wasn’t sure I would like the faux fur inside the headcover, but as protection for the driver it’s perfect. The hand stiching of the TST logo and the MVP are superb, and it really stands out and as @Deadman noted, it’s a conversation starter about how great The Sand Trap community is. You can tell by the look and feel that these things are really made on an individual basis and I’m expecting this to last a long time. First let me say, that I am not an alignment stick guy. Another one of my quirky habits, I know. But if I did carry alignment sticks with me, this cover would definitely be on them. Just like the driver headcover, you can just feel how well this has been made. Plus it’s long enough to fit down in the bag, so that you aren’t pulling it off when you remove the other clubs that are around it. Finally after seeing @phillyk using the alignment stick and wrap a towel around it, I may have to rethink carrying the alignment sticks in the future, as they add more uniqueness to the bag. As you can see from the pictures others have posted, the Delilah alignment sticks cover is gorgeous. (The only thing that would look better in my bag is the Delilah "mvp" driver head cover, but @jsgolfer made certain on Saturday of the Newport Cup (with my help ;)) that that wasn't going to be happening. ) It greatly enhances my already snazzy looking 2015 Newport Cup Ping Hoofer bag. The problem, though, is that the main function of my alignment sticks ... is not to function as alignment sticks. Their "true" purpose in my bag are as a permanent towel holder, and temporary 3 wood, hybrid, and putter cover holder. I use the Club Glove style towel with the slit in the middle designed to be draped over your alignment sticks, and while the slit is plenty big enough to go around the Delilah cover, it seemed to "catch" on it occasionally and start to pull the cover off the sticks. My putter cover would only fit around the Delilah cover if forced, and then if I did that, it would pull off as I pulled the putter cover off. For those who do like the idea of a cover for their alignment sticks, this is a great one to choose, because it looks fantastic. It's just not my cup of tea. We received an alignment stick covers from Headcovers from Delilah. This is the first time I have ever seen a headcover for alignment sticks. The Delilah cover looks of high quality premium like leather and feels very soft. They are lightweight and durable. It gives you club head protection from the usual exposed end of the sticks as well. I only put the alignment sticks in my bag when I walk from my car to the driving range. Otherwise they just stay in my trunk. In the past I received a bad scratch on the inside of my elbow that left a scar from picking up the bag and catching it on the end of the stick. With these headcovers that will not be the case any longer. Especially when the protective end inevitably comes off the sticks and exposes the sharp edges. I have 15 pockets in my bag so it will have its own place to stay and not get caught up with the other clubs around it. The embroidery of the Newport Cup logo was a welcomed touch and seems to be of excellent quality. Something that will remind me of the great week we had at Southern Pines, NC in 2017. 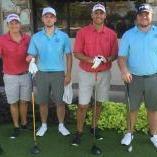 I hadn't posted a picture with the head covers on the bag. So here is one, and the alignment sticks make a great use for holding a second towel. They really look sharp. 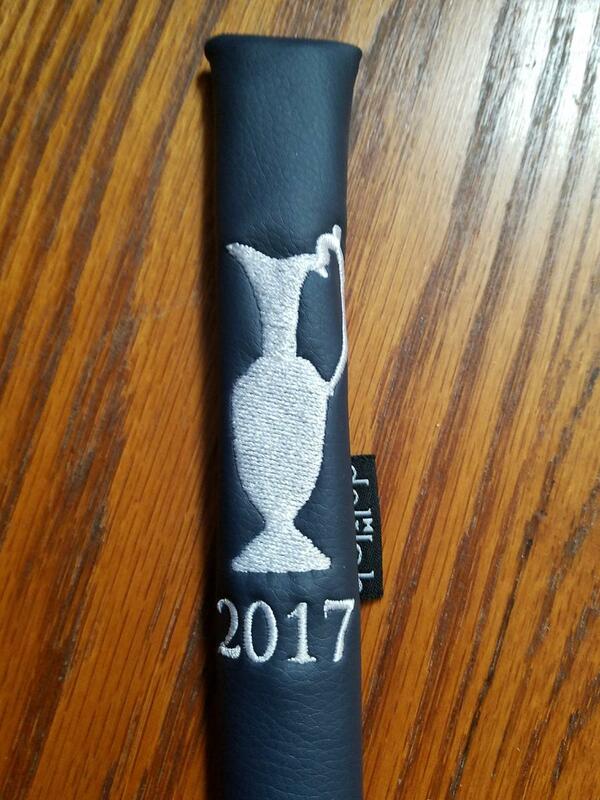 I received the blue Delilah alignment stick covers as a Newport Cup East team member. I am very impressed with the quality of these covers. They look absolutely beautiful as well. The leather material that they are made out if of is incredibly soft and it is easy to tell that much attention has gone into selecting premium materials for this product. Everything from the stitching, to the embroidery, to even the tag on these is of high quality. I am not sure I fully grasp the practical use of an alignment stick cover but it looks classy so who cares. If nothing else it will help reduce some bag clatter. 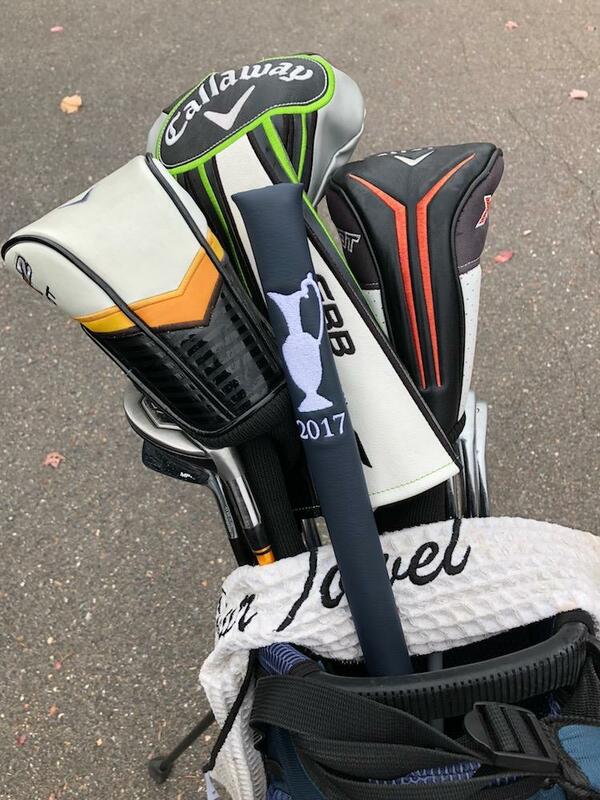 Unfortunately I did not receive one of the beautiful Newport Cup MVP headcovers as there was not one awarded to the LVP of each team as well. They look incredible though and I would imagine that as far as a custom headcover for you woods goes, it is about as good as it gets. I never knew I needed a cover for my alignment sticks, but this is really very nice. This cover keeps them orderly in the trunk of my car, and minimizes the tangles when I put them in my golf bag. The exterior material has a solid leather feel, the interior is plush, the stitching is solid. The embroidery for the Newport Cup logo is very nicely done, as you can see. I tried as best I could to win the cover for my driver, now I may just have to order one. 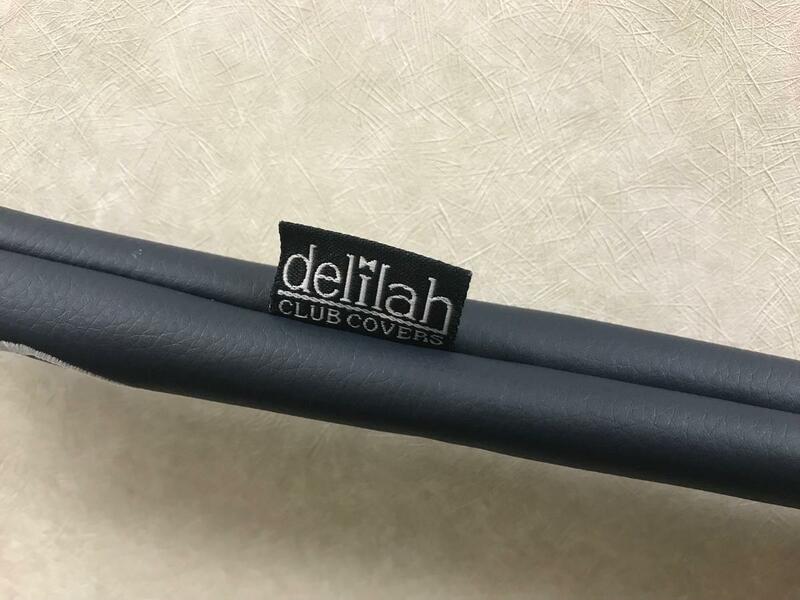 One of the swag items we received were alignment stick covers from Headcovers from Delilah. The alignment sticks themselves are great and the cover is just gravy. I never knew or even thought that there would be such a thing but it is actually pretty convenient to have to be able to keep them together and not moving all over the place in my trunk or in my bag. The bonus here is the cool logo and artwork that Headcovers from Delilah are able to put onto the cover itself. I've already gotten questions on what exactly that headcover is hiding in my bag. As for durability and effectiveness, I have no qualms about how this is but and how it will hold up. It looks well made and should last as long as I don't lose it. My only complaint might be that its a little too loose and when I'm storing them laying flat in my car the head cover will sometimes come off. Overall though, a very well done swag prize that I like very much!